A Polaroid Story » [PRESS] A POLAROID STORY x JIM TV FUZZ! [PRESS] A POLAROID STORY x JIM TV FUZZ! This little blog and myself were invited to be a guest at JIM TV‘s after-school LIVE show called FUZZ! I was very flattered when I found an invitation in my mailbox from JIM TV‘s Fuzz producers that invited me to come over to the JIM TV studios and have a chat about my blog A POLAROID STORY. JIM TV’s FUZZ show, hosted by SEAN and ELINE is the perfect platform to do exactly that. Anyway, to return the favour of inviting me, I was happy to take a Polaroid picture of hosts SEAN & ELINE, who – I must say – were very well prepared with their questions, clearly did their reserach and were genuinly interested. 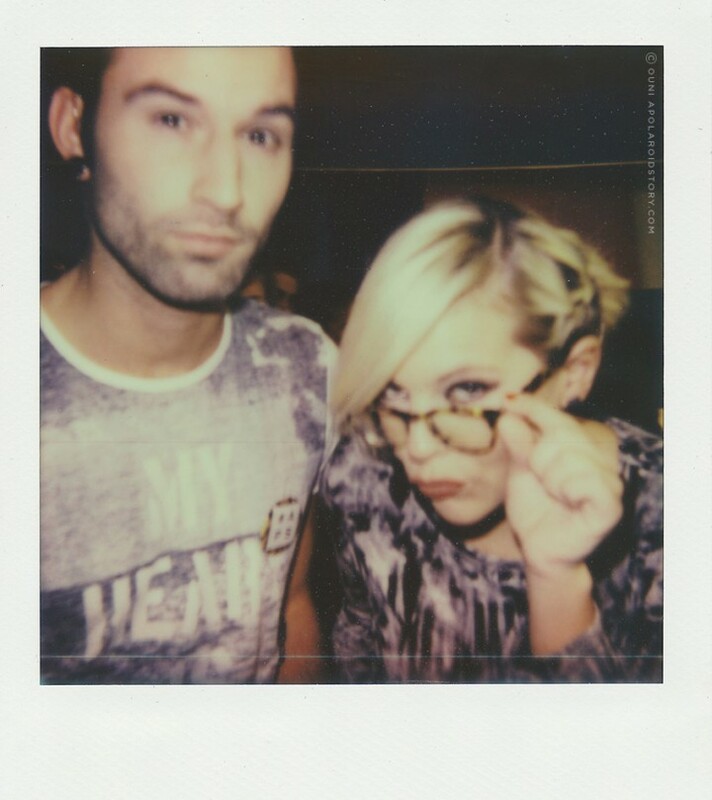 And this is how the Polaroid turned out! 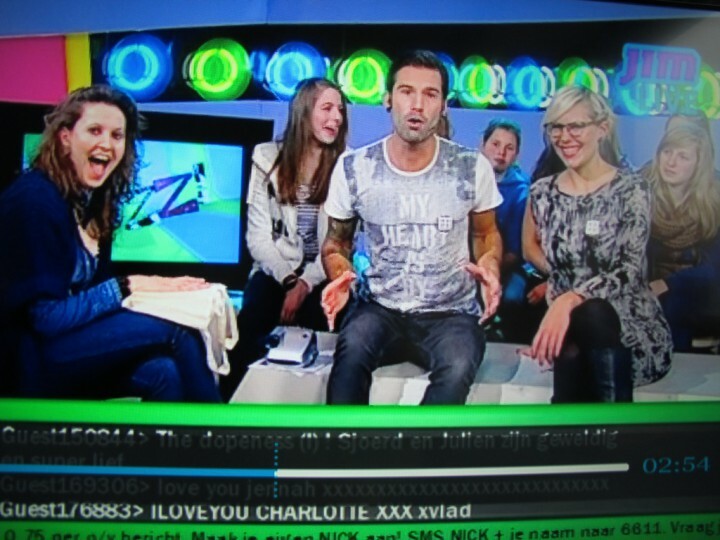 Thanks Sean, Eline & JIM TV for inviting me, much appreciated!! I am investigating the story of Polaroid and present it in my MBA class in Istanbul, while surfing seen your blog and impressed of it. And I will start with your Polariod Passion to my presentation but can you be so kind and contact me by writing to below email address so that I can come out with correct questions for insterting their answers in the presentation.